Alexa, when do I have free time this weekend? When do I have thirty minutes available on Tuesday? Amazon debuted Routines in October 2017, allowing users to string together custom phrases, smart home appliance actions, in addition to weather, traffic, and news updates. Now, there should be a new option in the Routines section of the Alexa app to add a rundown of today’s calendar, tomorrow’s calendar or your next event to either one-time or scheduled Routines. For example, set an “Alexa, good morning” routine to hear the weather, traffic, and your calendar events for the day. Both features require that you have a calendar attached to your Alexa account, accepted calendar providers are Gmail, G Suite, Microsoft Office 365, and Microsoft Exchange. The Reminders API provides developers the opportunity to help customers manage their schedule and remind them of important events. Third-party developers have already begun to make use of the Reminders API, Kayak and NHL are some examples. Used properly, this new API has the promise of increasing repeat engagement with your customers, but you should think about the specific benefits users will gain by adding a reminder from your skill and make it as frictionless as possible for them before diving in. Alexa first debuted a basic reminder functionality in June 2017, then earlier this year introduced Remember This. Remember This allowed Alexa to remember bits of information. 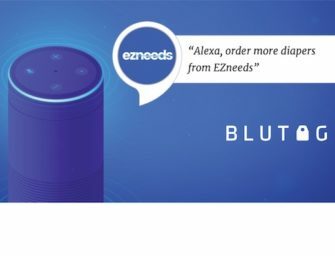 Last year, Amazon expanded Alexa’s notifications feature, which was initially restricted to events like calling, messaging, and package delivery. At the time, the expansion was only available to partnerships with the Washington Post, AccuWeather, Big Sky, Kayak, Twitch, Domino’s, and Life360. The Reminders API differs from these changes in the past by allowing any developer to join. Ever since September, when Amazon announced 12 new Alexa-enabled devices, including the Alexa powered Microwave, new features for Alexa have been debuting in what feels like a non-stop, increasing wave. The Alexa Presentation Language, the Alexa Gadgets Toolkit (Beta), APIs to connect smart cameras and doorbells to Echo devices, the Music Skills API, and the New Release Notifications are just some of what Amazon has announced or released since September. The questions is, how much more will Amazon announce before the end of the year?